“Onye N’ekwu” is executed in quintessential Tru Mantra style with Henrisoul’s sublime delivery on the hook. The song title roughly translates as “Who is speaking?” and asks the listener a number of potent questions. Does the voice of external influence shape your desires and cause you to succumb to pressure? Or does your perspective emanate from a Godly worldview? Tru Mantra’s answer is clear and by the end of the song, doubt has given way to exhilaration and an admission that “Everything na from the Fada”. You will move to the beat, sing along to the hook, and hum the melody of this song but most of all, it will invigorate you with every listen. Now tell me, Onye N’ekwu? Lanre Abiose and Tony Okwechime make up the US east and west coast based music duo known as Tru Mantra. The group’s unique blend of Afro hip hop delivered amid myriad nuances communicates clearly their Christian worldview and draws richly from the influence of their formative years spent growing up in Lagos Nigeria. The group’s mission statement – Light music in a dark world – is driven by a desire to evoke thought while delivering music that cuts across demographics and genres. 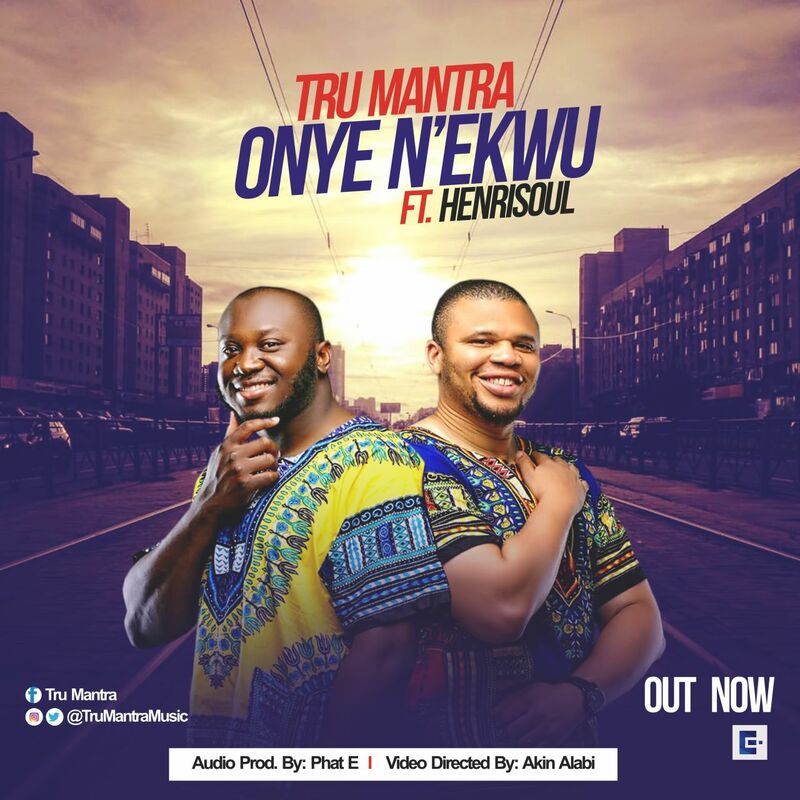 Recently back from a working trip to Nigeria, Tru Mantra now presents Onye N’ekwu. It is their first official video release and promises to be only the beginning of a music serenaded year 2017!